A lit-up weeping cherry tree takes center stage at Tokyo’s famous Edo-era Rikugien garden. While the massive tree offers a lovely view of cherry blossoms during the day, its nighttime view is even more majestic. 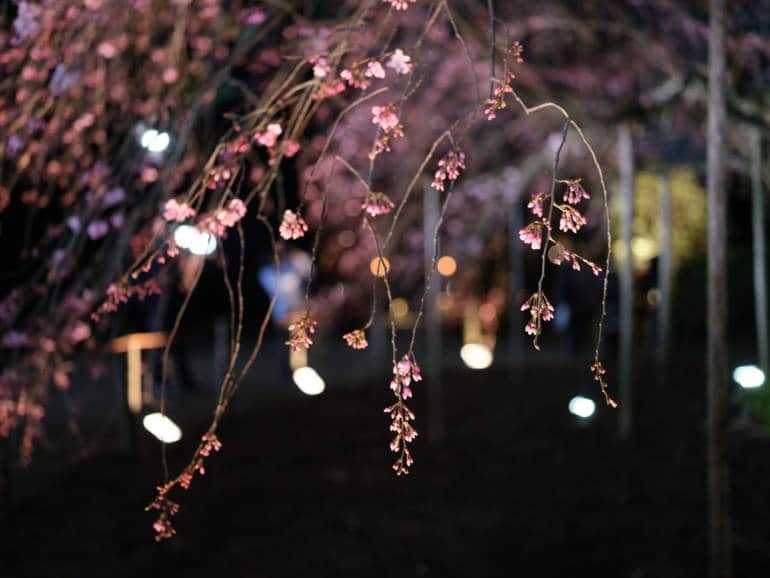 The floodlit branches of the 15-meter tree showcase vibrant pink blooms, making it one of Tokyo’s best spring illuminations. The park extends its hours during the illumination, so visitors can enjoy a laid-back evening of hanami (cherry blossom viewing).